For years, he’s been your best friend. You call him every time you’re sad, sick or have just broken up with someone. For years, he’s called you to go for a beer, a movie or a spontaneous road-trip. He makes you smile, laugh and feel like the most special girl in the room. That is until he starts dating that girl from work and is really serious about her. “I think she may be the one…” he tells you a month later. Is she worthy of him? Will he still have time for us? Do I need to see him less now? Do I have to become her friend too? The thinking turns into missing. He returns from his trip, but doesn’t call you immediately. A few days later, he lets you know he’s back. You feel hurt. The difference has already begun. The new happy couple invites you for supper. You suddenly realise how lonely you really are. They touch. They hug. They kiss. You feel terribly uncomfortable, but why? What is this irritating nagging feeling that won’t go away… Is it jealousy? What is this gaping hole that deepens with every silent passing day… Is it longing or, even more complex, love? You try to concentrate on your other friends, but everyone can’t stop talking about the “amazing new girlfriend.” The label sticks for weeks, months, a year… and it hurts you more and more. Why can’t I just be happy for him? Why do I find myself constantly thinking about our time together? 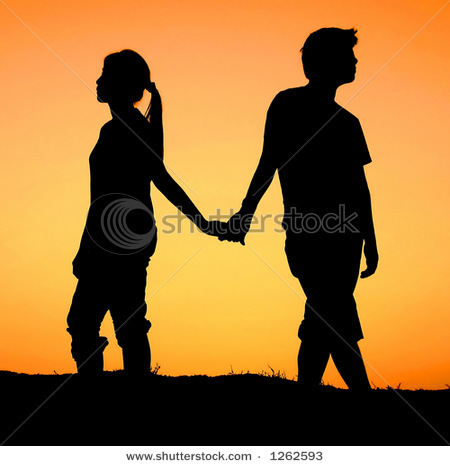 It finally hits you: I HAVE FALLEN FOR MY CLOSEST FRIEND! Were we that… were we a couple without ever placing that damn label? Did the innocent touch of his hand to reassure me after every heart-break mean something more? You decide to find out and confront him. The week passes and it’s the longest week of your life. He never calls. A few months later, you call him and it’s constantly engaged. Sh*t, HE’S ENGAGED! He never bothered telling you. The invitation arrives: You are happily invited to bless Shaun and Sally on their new journey. Your head spins. You decide to tell Sally how you feel. You don’t go to the wedding. And, surely, nine months later Sally gives birth to a honeymoon baby. You accept. Your love for Shaun fades the more you see the three of them together. Sally was right: he’s really happy. You focus all the love you had on Jayden now. Shaun remains forbidden fruit. His ripe season was simply not the same as yours. Seasons continue to come and go; yet he remains firmly attached to his family. You finally walk away from the person you shared the same fears and memories with. The first rays of summer dance upon your skin; it is harvest time elsewhere. You study together. Starting something while studying may seem like the perfect way to balance work and fun. It may also cause you to stop concentrating, fail or drop out if it ends sourly. If he’s messing with you, what’s stopping him from tasting the other girls in the class? You work together. There are highs in mixing business with pleasure: a secret rendez-vouz in the photocopying room now and then, gentle kisses in the bathroom. But, there are even more extreme lows: disapproval and gossip by colleagues, complexity when breaking up or sexual harassment charges. Different religions. As much as you may love each other, your in-laws may be at constant loggerheads about marriage, the home and raising the children. You live on different sides of the world. Some argue long-distance is romantic, adventurous and fun, it is also an extreme test on your energy levels of jealousy, trust and creativity. How much passion do you have to keep it all going? 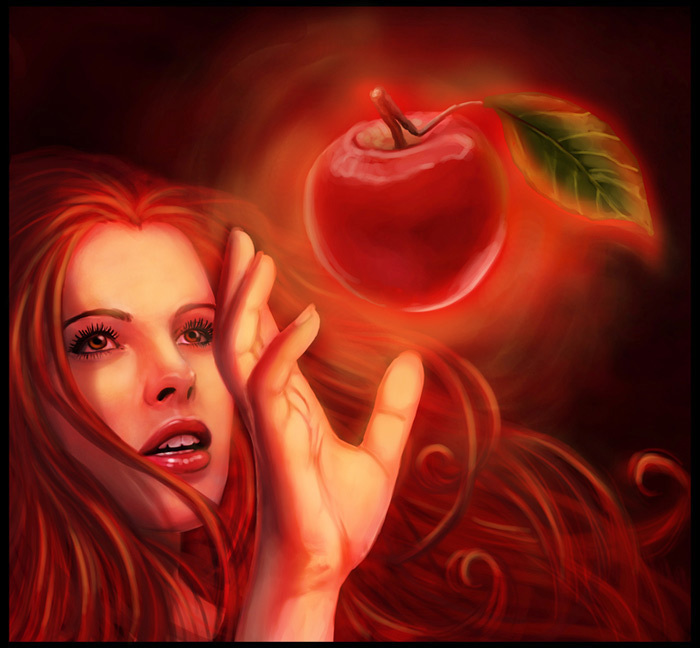 This entry was posted in Dating, life experiences, life philosophy, Love/ lust, relationships and tagged Eve, Forbidden fruit, friendship, Jerry Springer, John Milton, love, Love/ lust, Mark Twain, Men vs women, relationships, Temptation, true love, Unhealthy relationships by vsmeets. Bookmark the permalink. Brilliant! This sounds like the story of my life, yet I am only part way through. Knew this would be the future. Very well done! Be strong. The deviated path can be just as beautiful. OMG ! This is just so sad ! ! I feel the pain just reading it ! Thank you. Pity we realise too late it was true love.